Richard Allen Bugbee (80), born February 17, 1937, passed away on February 4, 2018. Richard was born to Perry and Phyllis Bugbee in North Adams, MA, but grew up in Woodford and Bennington, VT. In 1955, he enlisted in the U.S. Army and left for boot camp upon graduating from Bennington High. During his time in the Army, Richard served overseas in Germany and Korea, as well as serving at Army bases in the United States. While living in Germany, Richard met Blandine. They married and had three children Robert, Marc and Karen. In the fall of 1977, Richard met Roberta Kron at Fort Meade, MD where they were both stationed. They fell in love and Richard proposed marriage and adoption of Roberta’s daughter, Patricia. They were married on November 15, 1978. Shortly after, their family grew when their son Perry was born. Richard retired as a Sergeant First Class from the U.S. Army in October 1978. He continued to live in Maryland with Roberta, Patricia, and Perry. Richard joined the LDS Church while in Germany but became inactive when he returned to the states. Roberta joined the church in October 1979. In 1980, they made the decision to move back to Vermont, where their son, Peter, and daughter, Photina, were born. They were sealed together in the Washington D.C. Temple as a family on November 16, 1983. Richard worked with the Boy Scouts, was active in the LDS church, continued to work with the local Veterans organizations and drove tractor-trailer truck until he lost his eyesight Thanksgiving weekend in 1995. After he lost his eyesight, he continued working as a merchandiser and started volunteer work as he learned how to live without his eyesight. In the summer of 2000, he and Roberta moved to White River Junction and he started volunteering at the VA Hospital there. From 2000 – 2008 he volunteered over 15,000 hours coordinating 16 transportation vans and 60 volunteer drivers for disabled veterans through the DAV. In January 2008, he and Roberta moved again. This time to Mesa, AZ. He immediately started volunteering again. He continued his volunteer work through the VA Hospital until 2012, when his health would not allow him to volunteer any longer. 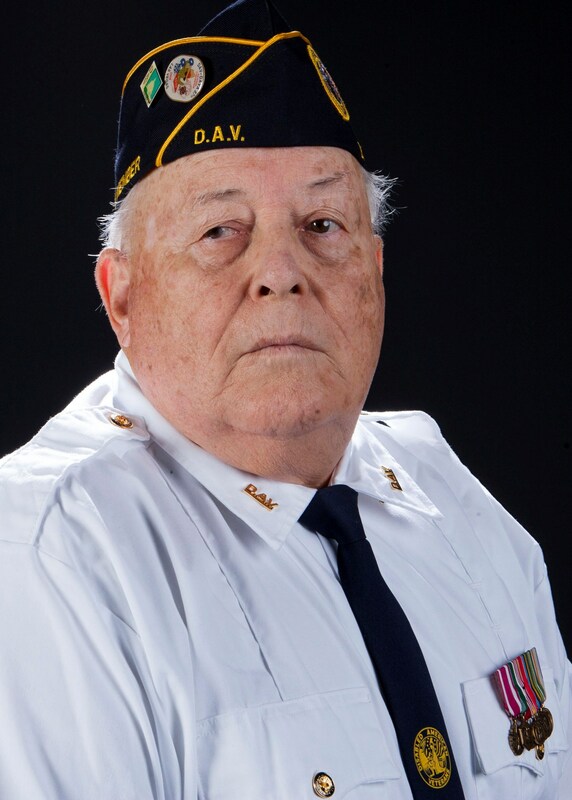 Richard has held many positions in the LDS church, continually supported the Boy Scouts, served as the Commander of the National Blind Chapter of the DAV, and has been a continuing member of the VFW, American Legion, and DAV until his passing. He is survived by his wife Roberta, children: Robert Bugbee, Marc and Zita Bugbee, Karen Bugbee all of these children live in Germany. Patricia Bugbee of Tampa, FL, Perry and Katie Bugbee of Idaho Falls, ID, Peter Bugbee of Cedar Creek, TX, and Photina and David Haumschilt of Chubbuck, ID; and 14 grandchildren and several nieces and nephews, his brother Roland and Vicki Bugbee of Bennington, VT and former wife Blandine Bugbee of Germany. Richard is predeceased by his parents and sister, Florajean Maloney. A memorial service will be held on Saturday, February 10, 2018 at 10:00 at the Church of Jesus Christ of Latter-day Saints at 29419 N Desert Willow Blvd in San Tan Valley, AZ. In lieu of flowers, please send donations to his wife Roberta to help pay for unexpected funeral costs or make a donation in his name to the Disabled American Veterans at DAV.org. Sister Bugbee; I was sorry to hear about your husbands passing. He was a great inspiration to me. I enjoyed him sharing his wisdom and knowledge with the High Priest Group-we will miss him. Roberta, so sorry for your loss My families thoughts n prayers are with you and your family. Richard set such an inspiring example of service and self-sacrifice that it was indeed a blessing to have known such a man. May his family be greatly comforted by the affection and esteem in which he was held by his many friends. So very sorry for your loss. Very nice obituary write up. Nice you have so many children to help you through this difficult time. I am so very sorry for the loss of Richard. He was such an inspiration to everyone around him. We had many good times in our small DAV/DAVA group. Potlucks, Visiting Veterans, and he did such a wonderful job volunteering at the White River Jct Vermont VAMC. He will be sorely missed. Love you Roberta. Richard will be greatly missed by his DAV family but live on in the many lives he touched as a volunteer. May he rest in peace. Sorry to say, I did not receive this obitary until yesterday. It would have been nice to receive it before. My condolences again to Roberta and her family. A Condolance Card from Marc and his family is on the way. Dear Roberta, I am so sorry for your loss, you are in my thoughts and prayers. I’m sure my Grandfather was a good person at heart. Sorry for your lost. Richard was a great example to me as a youth in the Bennington branch. Will always remember his faithfulness in helping young priesthood holders go to stake priesthood in Albany new York.